More than 200 million users use Whatsapp in India, The app used for personal work and official purposes. In this case, we are going to tell you a trick about Send WhatsApp Message Without Saving Number. All You Know that for messaging someone on WhatsApp, you must have to save the users’ mobile number. To Avoid this problem use this trick. 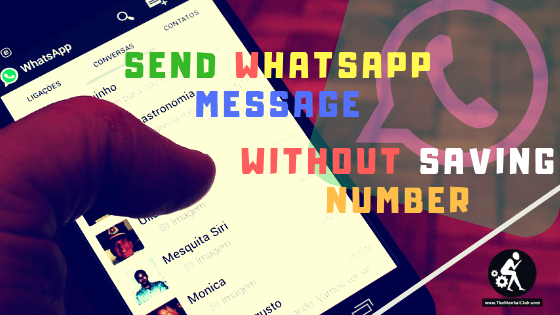 Now, you can send the message on WhatsApp without saving the phone number. Whatsapp introduced the Click to Chat feature for a while. With the help of Click to Chat feature, those numbers are not saved in your phone. Step 1:- Open the browser of your smartphone or PC and type web.whatsapp.com and then hit enter. 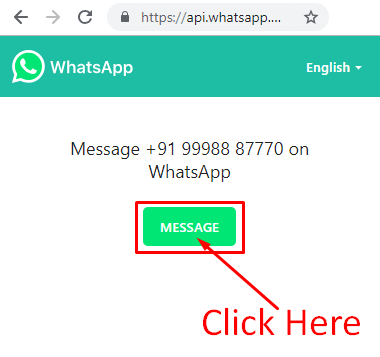 Step 2:- After this, connect Web Whatsapp by scanning via QR code. Step 5:- After this, you will see the message button in the Green color, click on it and type the message.